A biography of the black author famous for his 1952 novel "Invisible Man" revealing the realities of the black experience in America. About Jack Bishop (Author) : Jack Bishop is a published author of children's books. 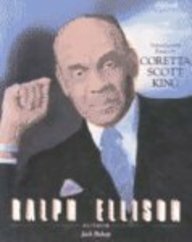 Published credits of Jack Bishop include Ralph Ellison (Black Americas of Achievement).